In 2004, while still writing my first book, Addled, a novel that pits animal rights against a country club, I won the PEN New England Discovery Award in Fiction. That led to an agent, which led to Addled’s sale to a New York publishing house in 2005. The book business has changed so much since then, it might as well be a different geologic era instead of just a few years, so making comparisons between my experience with a Big House then and at a Small Press now isn’t quite fair. But I’m going to do it anyway. A Big House has prestige, pull, and distribution – fantastic attributes ­­– but it can be as impersonal as factory farming. Except for some general editorial notes from the editor who bought my book, I was so distanced from Addled’s production that I showed up at the Big House office with my revised manuscript in hand, only to find out it had been delayed a year. No one had told me. During the ensuing wait, my Big House was bought out by a Foreign Big House, so that the week Addled finally launched in 2007, the reorganized company was moving to new offices a few blocks away. Cases of my book held the doors open for them. Bad timing, but the Big House had already done its due diligence when it came to sending out review copies, including to the few online reviewers operating at the time. Addled had many lovely words said about it, but the best thing they did for Addled, (which has a great cover), was put it on the front of their spring catalog, which might have been the last of their paper catalogs. Unfortunately, a pretty face couldn’t help sales. It was in and out of bookstores in a matter of weeks and it was all over in three months. Addled didn’t do well enough for the Big House to justify buying my next book, a story collection based on real estate ads, even though the editor said she wanted it. Oh well. I had another novel in me and I wrote it. My agent loved Float, which confronts the dangers of plastics in the ocean while still managing to be a comedy, and sent it out. And she sent it out again, and again, then threw in the towel. There was interest, but no one would touch it because of Addled’s sales history. It was over, once again. I asked my agent if I could send it out to contests, and she said sure (or more precisely, her associate did, into whose care I had been transferred). In the same breath, I also did a regular submission to Ashland Creek, a small press in Oregon that specializes in environmental literature, and they took it. Unlike the Big House, there was no advance, which is usually the case with small presses, but writers get a bigger share of royalties. And more attention. If a Big House is a factory farm, a small press is a petting zoo. The editing was specific and went right to the point, making me think deeply about the interaction between detail and theme. There’s no money to speak of for marketing at a small press, but there wasn’t at the Big House either. I supplied my own jacket photo for both. I wasn’t expecting, nor did I get, a book tour at the Big House, but it was a surprise to find out that the sales reps had to clear readings (they don’t want a lesser author to compete with their best-selling authors), and the answer was either “no” or too late in coming. I’ve been told that Big Houses don’t have sales reps anymore, but readings are still controlled. With Float, I am free to book as many readings or events that will have me. The philosophy about the lifespan of a book is also different at Ashland Creek, and I suspect at other small presses. They expect to sell Float over a period of years, not a single season, and not dismiss it if it doesn’t catch fire right away (read: does not get a NYTBR, which can only happen within three months after release). As for social media circa 2007, everyone knew potential readers existed out in cyber-land, but no one knew yet quite how to reach them. Now every author, whether with a big house, small press, or self-published, is expected to be fluent in Facebook, Twitter, and Mail Chimp, as well as WordPress for blogging. I have my own website blog which is issues-based, where I write about plastics in the ocean. I also do a more meditative blog for Newfound Journal, an Inquiry of Place, where once a month I ponder on my place here on the coast. Then there is guest blogging, as I am doing right now, and these blogs usually concern the writing life. Would I have sought out a small press if a Big House had taken me? No. Haven’t I just mentioned prestige, pull, and distribution? Having said that, the lesson I’ve learned is that those fine credentials mean little if there is no enthusiasm behind the book, and enthusiasm is such a delicate thing. Without a hard-core marketing campaign, it could not stay alive during Addled’s long publication delay. Now that I’m with a small press, I know what it’s like to feel that enthusiasm. It does not seem like a lesser option, just a different one. I feel as if we are in it together, and that Ashland Creek loves my book as much as I do. What else but love of the written word could make someone start a book press in this day and age? It’s like taking up falconry. But they, and all the other amazing small presses of the world, might just keep the book industry afloat in these stormy times. 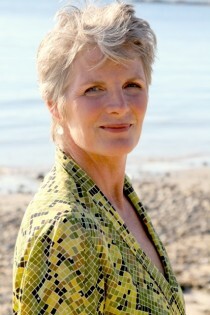 JoeAnn Hart is the author of the novels Float and Addled, and her short fiction and essays have been widely published. She lives in Gloucester, Massachusetts, but she can be easily found on Facebook, Twitter and joeannhart.com. 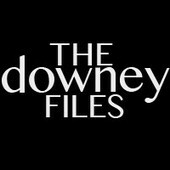 Not long ago, TV writer and good friend Jill Condon passed on a podcast link to me about the Hollywood creative process: The Downey Files. The concept is that writer and producer Chris Downey is cleaning out his drawers of old pitch ideas written on cocktail napkins and takeout menus, and inviting other guest writers to join him in developing these concepts. While the concept itself is tongue-in-cheek – some of those ideas are in a drawer for a reason – you get to hear talented, professional writers develop ideas from pitches into mini-treatments. As someone who has done this process with four different screenwriting partners over the years, it is fun to listen in on others and how they approach the elements of theme, character, and story. Even better, Chris and his guests have wit and imagination, and this series has shot up to the top of the list of favorite podcasts. Check out The Downey Files – it’s better than just about everything you’re watching on TV or at the movies, and it’s especially fun for writers. Attitude is the theme for the fall 2012 issue of New Letters. From cover to cover, we are presented with a mix of hard-hitting poetry, fiction and essays, artwork from Leonard Koenig and William Wind McKim, and an interview by Anis Shivani with one of our most talented and underrated authors Don Lee. Favorites in this issue was the story A Kind of Tender Infinity by Wendell Mayo, that captured a time and place in the American imagination with a marriage proposal during the race to the moon, and poetry by Albert Goldbarth, William Trowbridge, Peter Balakian and Carolyne Wright. These writers don’t pull any punches as they hold up a mirror to the America we know and thought we knew. I read the entire issue cover to cover in a single sitting, and recommend you get some Attitude as well. We’re pleased to kick off 2013 with an interview with one of America’s greatest living poets, essayists, and critical thinkers. I have enjoyed the poetry, translation, and prose of Robert Pinsky for many years, and I am thrilled to be able to provide some insight into his writing life. The list would be very long, so I’ll free-associate a few names: Lewis Carroll, Ben Jonson, Nikolai Gogol, Homer, Thomas Hardy, Allen Ginsberg, Elizabeth Bishop, William Carlos Williams, Isaac Babel, George Herbert, John Keats, Emily Dickinson, James Joyce, Anthon Chekhov, William Butler Yeats, Mark Twain, George Gascoigne, Edward Lear, Willa Cather . . . Buster Keaton, Dizzy Gillespie, Francisco Goya . . . major influences, so many. Looking at my own quick, unreflecting list I notice there are no living writers and only a couple I met when they were alive. The past dominates . . . maybe that’s because I have never taken a creative writing course, didn’t come through an MFA program. Of course there are many I could add to Bishop and Ginsberg . . . Alan Dugan, Thom Gunn . . . And I did have great teachers: Francis Fergusson, the greatest of literary critics in my opinion, and Yvor Winters, who showed me the like of Gascoigne and Jonson. My freshman English teacher, Paul Fussell. I am unsystematic, intuitive, impulsive. I tend to start with a sentence-shape or a cadence. Sometimes I have a tune in my head, a language-tune, for quite a long time before I have any actual words, let alone ideas or experiences. I like to look up simple words in the dictionary: words like “thing” or “medium.” Sometime I need to waste most of a day so that around 5:00 I write something out of shame! But that’s not a regular pattern. Re-reading something I love, a poem by John Donne or a passage in Song of the Lark, can help me focus, reminds me why I want to write. The regular, consistent schedule of talking about our art with serious young writers: that reliable need to focus: I think it may help control my sloppy, daydreaming, feckless side. It’s odd, but the traits that made me a failure as a student, kept me from getting good grades, seem to be compensated for or eased by being a teacher! In a recent poem, “Creole” (it’s also a track on the PoemJazz CD), I talk about my father getting fired from his job when I was seven. The poem implicitly– not explicitly!– salutes the energies in him, in our family, in our town, that kept creating things: little shops, children with their names, sports teams, professions– right through money woes and other woes. We were living an a two bedroom apartment with three children when my mother had a head injury. The arguing, laughing, complaining, dancing, threatening, joking, reading, flirting, competing, generosity — the whole menu — kept right on. I was worried, but I was reading Twain and Dickens and de la Mare and Ray Bradbury. My parents fought about money and food and everything but they were terrific dancers. 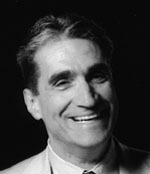 Robert Pinsky is one of America’s foremost poets, essayists, literary critics, and translators. He served for three terms as Poet Laureate and is the poetry editor for the online magazine Slate. He currently teaches in the graduate writing program at Boston University. I ran across this post when contemplating my own short story writing, and a collection I have been editing and circulating. Even though my manuscript has been a finalist three times, it feels like a daunting task to get a short story collection published. 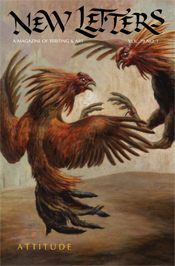 Reviews of and praise for short story collections abounds. Yet today’s short story writer is often met with discouraging words from industry professionals and even fellow writers. At a recent dinner, a friend told me of a well-known writer who had completed a short story collection and a novel. The publishing house which would acquire his work said that they would pay him one amount for his novel. For his short story collection and his novel together, they offered him the same amount. Evidently, the house had valued his story collection at $0. I’m pleased to kick off 2013 with the second in a series of recycled reads from my Goodwill in Los Feliz. The book is The Human Stain by Philip Roth, which forms the third in a loose trilogy following American Pastoral and I Married a Communist, and has been much lauded since its publication in 2000. Critiquing Philip Roth is daunting, as the novel is damn good, but there is much to dissect from the perspective of a writer. Let me start by saying that I was bummed after reading The Human Stain because I felt like it had the potential to be one of the best books ever penned by an American author if it weren’t for a few vexing narrative decisions. First things first. Who’s story is this anyway? Nathan Zuckerman is presented as the narrator in a key juncture in the life of the book’s protagonist Coleman Silk, a classics professor at a small New England college. We begin the novel shortly after Coleman’s wife has died, and he has been forced to retire after referring to absent students he’d never met as ‘spooks.’ Unknown to Silk, the students are African-American, and he becomes embroiled in a scandal that ruins his academic career. Unfortunately, Zuckerman is only present at the beginning and end, with a bit of him mixed throughout the novel with the close third person perspectives of multiple characters: Faunia Farley, a janitor with a tortured past, her abusive ex-husband and Vietnam vet Les Farley, and Delphine Roux, a lonely young classics professor and careerist who plays an active role in Silk’s fall from grace. The stories of these four characters are compelling, and Zuckerman’s half-role as narrator impedes our ability to truly commit to the dramatic world they inhabit. If the intention was to have Zuckerman uncover the shocking mystery that Silk was in fact part African American and completely turned his back on his past to better assimilate into American life, then why did Roth so richly delve into stories of other characters that the narrator would have no way of knowing? The problem with Roth’s partial commitment to the “I” voice of Zuckerman is that he can’t maximize using the narrator as a detective to unearth the mysteries surrounding the life and death of Silk. And because we never fully commit to the world of the other characters, we have many lost opportunities for dramatic tension. For example, we start with the drama of the scandal and retirement completed; we know far in advance the Silk will die; and the description of the supposed murder of Silk by the jealous Les Farley is described in a single sentence. The novel’s half-commitment to unspooling a mystery and to the active portrayal of the tragic love triangle makes me feel like we are presented with two half-novels spliced together. Don’t get me wrong, only the genius of an author like Roth could have overcome these types of challenges with a truly memorable novel. On another note, Philip Roth made quite a stir this year with an open letter to Wikipedia in the New Yorker refuting the origin of The Human Stain, as well as the sad news reported in the French magazine Les inrockuptibles that he is retiring from novel writing. This is a loss for us all, as his later work, such as The Human Stain, challenges us to ask questions of ourselves and America.